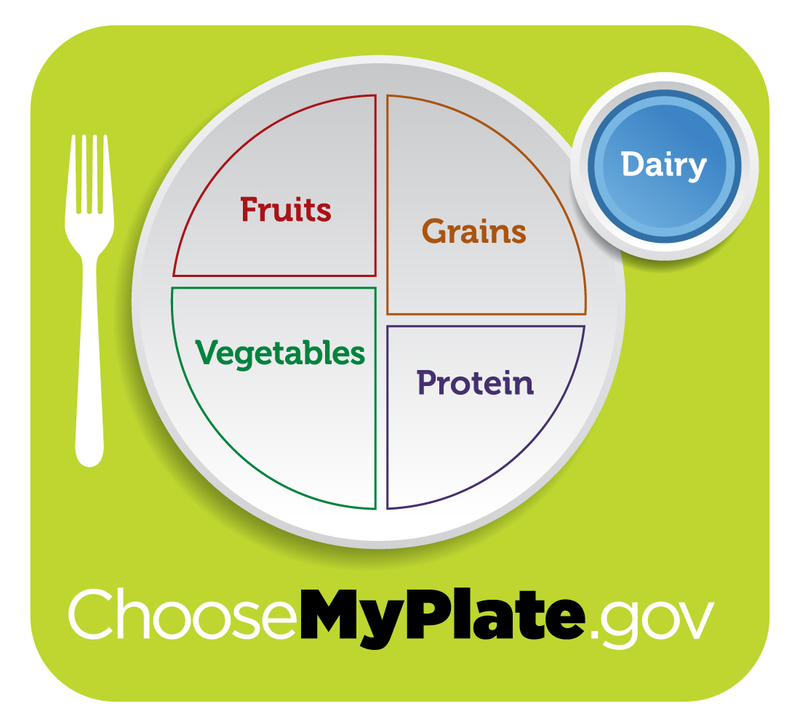 What foods are included in the dairy group? All fluid milk products and many foods made from milk are considered part of this food group. Foods made from milk that retain their calcium content are part of the group; while foods made from milk that have little to no calcium, such as cream cheese, cream, and butter, are not. Most dairy group choices should be fat-free or low-fat. Choose fat-free or low-fat milk, yogurt, and cheese. If you choose milk or yogurt that is not fat-free, or cheese that is not low-fat, the fat in the product counts as part of the empty calorie allowance. If sweetened milk products are chosen (flavored milk, yogurt, drinkable yogurt, desserts), the added sugars also count as part of the empty calorie allowance. For those who are lactose intolerant, lactose-free and lower-lactose products are available. These include hard cheeses and yogurt. Also, enzyme preparations can be added to milk to lower the lactose content. Calcium-fortified foods and beverages such as soy beverages or orange juice may provide calcium, but may not provide the other nutrients found in milk and milk products. The material appearing on thefitgirls.com is for educational use only. It should not be used as a substitute for professional medical advice, diagnosis or treatment. Thefitgirls.com does not endorse any of the products or services that are advertised on the web site. Moreover, we do not select every advertiser or advertisement that appears on the web site-many of the advertisements are served by third party advertising companies.